Collaborate with us for a better understanding of this grand example of military architecture and what it has represented for so many over time. Discover how to send your material to the relevant section. 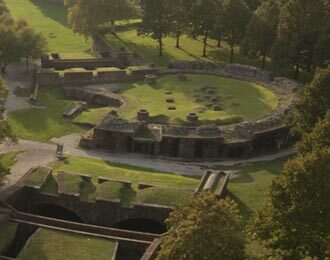 The walls stand as the most significant and emblematic monument of the city of Lucca. Walking entirely around the city atop them (approximately 4.2 km) offers a splendid panorama of the city and surrounding countryside, providing a major attraction for locals and tourists alike. In the context of Italian cities that have maintained their defensive structures, Lucca stands out due to the integrity of its circuit which dates back to the sixteenth and seventeenth centuries. Its walls constitute a prime example of European military architecture both for their long history and because they have remained unchanged up to the present maintaining the appearance of their late-Renaissance style. They have also retained the sorties and dungeons that were used in the past for military purposes and as warehouses. The circuit was originally equipped with 126 artillery pieces, which have disappeared, but the embrasures (i.e. the locations in which they were placed) are still identifiable. Such a complex and articulated monument obviously needs continuous maintenance and restoration especially in view of its increased use for tourism and culture. Lucca’s citizens are very sensitive about everything that concerns their city walls, their image and their use. Hence the need to create a web space open to all Lucchesi to talk about the walls, especially this year, on the occasion of the 500th anniversary of the construction of the late-Renaissance circuit. “Le Mura di Tutti” has been configured as an open arena, as a communication space which, in time, will always be enriched by new offerings about Lucca and its walls; they will expand into ever larger historical and geographical circles. 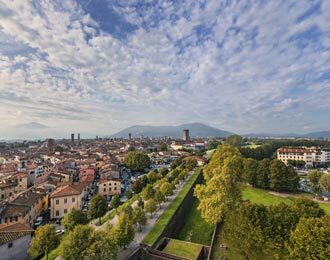 The Walls of Lucca as you've never seen them before: 360° aerial virtual tour. Rampart, Bastion, Bombadier...... Discover the Vocabulary of the Walls. 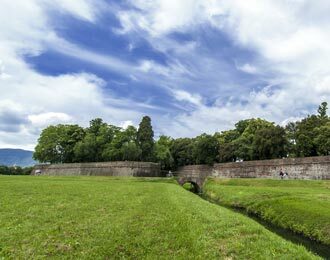 Lucca's Walls: discover this example of military architecture in Time-Lapse mode. If you are interested in the history of the walls, even more recent history, discover how to send your work (stories, experiences, images, films). The best will be published on line as part of this site. 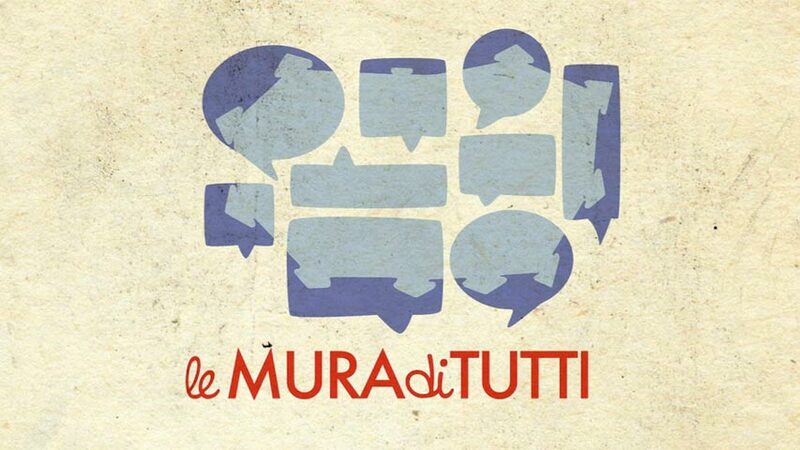 “Le Mura di Tutti” is an intiative promoted by the group History in the Making under the direction of professors Carla Romby and Carla Sodini. Copyright and reproduction rights are reserved to the authors.